Seattle, WA--(Marketwire) - Ambient ID, Inc. today unveiled the company's LabTrack™ solution -- a comprehensive business information management system proven in diagnostic laboratories and hospitals throughout North America to significantly improve operational efficiency and reduce test costs. Ambient ID's LabTrack diagnostic sample tracking and management solution utilizes advanced automatic identification (RFID) technology and comprehensive data gathering methods to identify, track and trace specimens as they move through the laboratory testing supply chain. According to Washington G-2 Reports' recent "Lab Industry Strategic Outlook: Market Trends & Analysis 2009" report, today's diagnostic laboratories perform tens of millions of blood, urine and body tissue tests each month, and the volume of tests is growing steadily as the world population ages. In addition, the U.S. government's "paperless medical process" initiatives are forcing diagnostic labs to seek technology-driven solutions to improve testing supply chain operations. "Ambient ID's LabTrack is well-suited for busy diagnostic labs, providing significant operational and cost efficiencies while enhancing patient safety," said Drew Nathanson, director of Research Operations at VDC Research Group. "It is also aligned with the shift toward electronic medical record (EMR) methodologies, an important part of the Obama administration's economic stimulus package." "The LabTrack solution fully automates and provides unprecedented visibility into the specimen transport process," said Peter Allison, president and chairman at Ambient ID. "Each specimen can now be identified and tracked at every step of the testing process -- from patient to pathologist. The result is a measurable improvement in diagnostic laboratory efficiency which lowers overall healthcare costs and leads to dramatic improvements in test result reliability." Available now as a "closed loop" standalone system or fully integrated with existing information technology installations, the LabTrack solution comprises best of breed hardware components and software fine-tuned to deliver the highest levels of efficiency and accuracy. LabTrack pricing is based on specimen volume. Founded in 2007, Ambient ID develops and deploys specimen tracking solutions to diagnostic laboratories worldwide. The company's LabTrack™ diagnostic sample tracking and management solution is a fully integrated, turnkey system comprising proven automatic identification technology components and comprehensive business information management capabilities. For more information, visit www.ambientidinc.com. For pricing information please contact sales@ambientidinc.com. 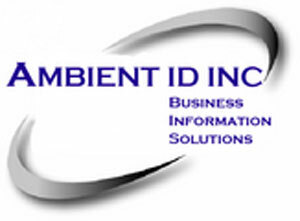 Ambient ID and LabTrack are either registered trademarks or trademarks of Ambient ID, Inc.